Elegant, corporate flyers and brochures are a rarity. It was a pleasure creating this broker incentive flyer for a Class A Office Building in West Palm Beach, Florida by using bold fonts and basic photo manipulation/masking. 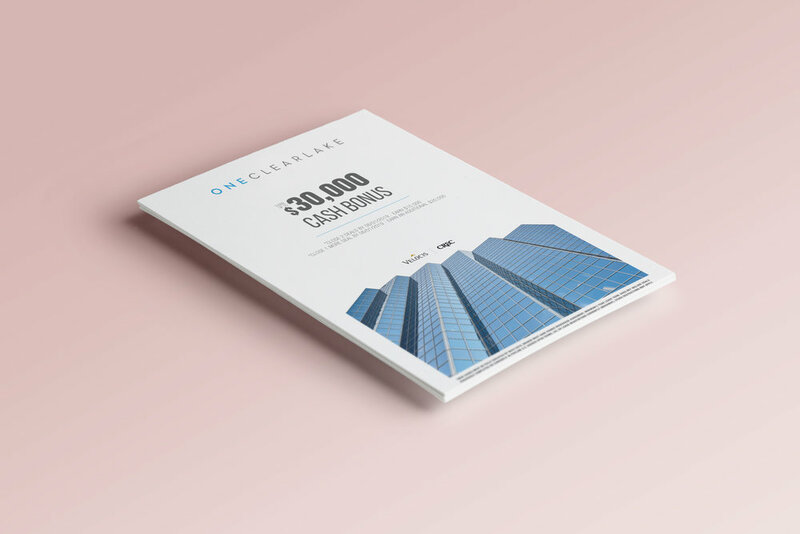 The end result was an impactful flyer that clearly defines the call to action to incentivize regional brokers to lease available space.